Who knew foliage could be so cute? Blue Mouse Ears has small rounded leaves in an eye-catching color that you'll love for edging at the front of a border, or a sweet feature in a shaded pot. The foliage is soft, thick and grooved, a texture hungry slugs tend not to like. For an extra treat, petite scapes of lavender blooms rise up over the foliage in midsummer. 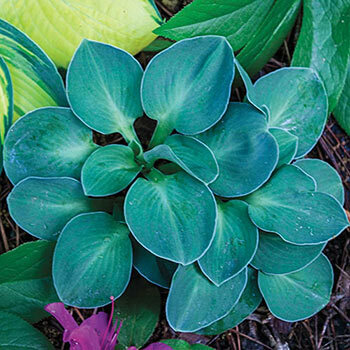 Great in front of other hostas, it's blue-green color standing out against other shades of green. Easy to grow in a border, container or woodland garden. 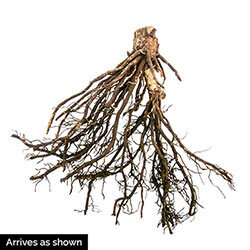 Planting Instructions: Dig a whole large enough to accommodate the roots without bending them. Additional Information: Foliage height: 4-5" and flower height: 8-10"